When I created the accounting firm Inspire CA, I wanted to make sure that the businesses we worked with really understood their numbers. Why? Because I believe the numbers are often an area of denial, or thrown in the "too-hard basket". But I also believe a few small steps can make a big difference in making the numbers easy to understand and (dare I say it) fun. Once there's good accounting system in a business, it's quite easy as a business owner to: Understand your numbers; Create consistent cash flow; and Receive insight into your numbers from your accountant. 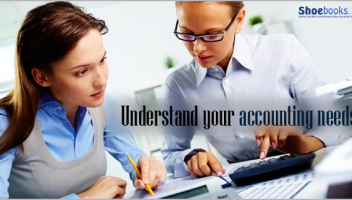 Before understanding the numbers, you must have great accounting systems. Accounting System Great accounting systems provide for great reporting. It gives you the ability to dive down into the numbers - something when working together with an accountant enables you to make sense of. Aside from allowing business owners to work with their advisers to create consistent and better cash flow, a great accounting system has a reporting process that provides insight into what the business can do to grow the bottom line and the bank account. 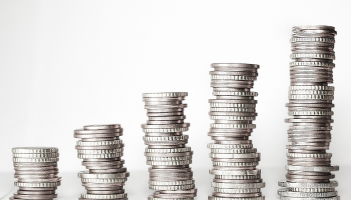 Once a business has a clear handle on their basic numbers and reports such as their Revenue, Profit, Cash, Receivables and Payables, the focus can shift to optimising cash, and measuring other numbers that really matter to their business. But what is a great accounting system? The best accounting systems are supported by software. Not Excel. Not a handwritten cash book -- but software. Over the last five years, businesses have seen the introduction of cloud accounting software. Not only is having your numbers so easily accessible a great feat, but cloud accounting software has really empowered the business owner by integrating with other business software and apps. There are 5 core functions of an accounting system: Invoicing and Debtor Collection Tracking Purchases and Accounts Payable Running Payroll Bookkeeping and Bank Reconciliations Financial Reporting For this, we do definitely recommend a cloud accounting system. And there are plenty of options available to businesses too, such as Xero, Sassu, Quickbooks Online. And it is important to choose the one that best suits your business, not the one with the best marketing, and not the one that suits your accountant the best. Spend a bit of time researching the different options. Talk to users of different options for their feedback. And then make the jump. Cloud Gets all Your Systems Talking We recommend that your accounting system be the center of your business' systems. Cloud accounting software and other cloud business apps allow this to happen seamlessly. Why? It is because of the power of automation. You need to only enter your customers' details in once. Xero as an example does a very good job at integrating many other cloud apps that will enable your business to run smoothly. (I mention Xero, but it is important to note that Xero is not for every business, just that it does a sensational job at integrating with other apps.) So what other apps should you integrate with your accounting system? Here's a few to start with: Marketing tools like a CRM and email marketing software Sales tools like proposal software and engagement management Workflow, fulfillment and project management apps It just makes light work of a smooth running business, and when you update one system, it flows through to the rest. What's left for you to do to run your accounting system? If we review each of the five key functions of an accounting system, you've got a choice to make as the business owner: Automate Delegate; or Get it done. We've put together a basic table to outline what has to happen, and also what is best practice in our eyes of how it's done. What has to happen? Best practice: Invoicing and Debtor Collection Generating and sending invoices and following up unpaid invoices after due date. Create invoices from your sales tools, and automate debtor follow up with a system like Debtor Daddy. Tracking Purchases and Accounts Payable Create bills in software and mark as paid once paid. Use a system like Receipt Bank to automate the data entry. Then use batch payments to create files which you can upload into your internet banking to pay all invoices in one hit. Running Payroll Employees enter timesheets if required, then payroll process to be carried out at each payroll interval. 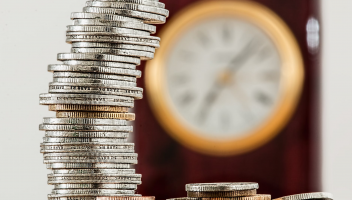 Employees enter their timesheets straight into software, then using pay templates, roll forward the pay run with ease and as much automation as possible. Bookkeeping and Bank Reconciliations Bank transactions are entered in and checked off against invoices and bills. Bank statement lines are automatically imported using bank feeds and then transactions are easily checked off against invoices or bills. Remaining transactions are "bulk coded" or reconciled to their respective accounts. 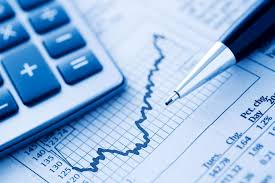 Financial Reporting As a business owner, you must take responsibility for the financial performance of your business. Use the built in reporting with your accounting system. You can also connect your accounting package with other reporting software such as Fathom, Crunchboards or Spotlight Reporting. Once you do this, it's best to look to an adviser to work with you, providing insight into the numbers to grow your business If you have any more questions about your accounting systems, do leave a comment and I'd love to help out more. Over the past two months, whilst talking with clients, a number of tax-related issues surfaced that we thought would be good to discuss in this month’s newsletter.Business or Hobby If you run a business then the income is taxable and expenses are generally deductible while when you just have a hobby the income is not taxable nor are your expenses deductible. So is your activity a business or hobby? This is solely determined by the facts. Some of the characteristics of a business include:- Are your activities carried on in a commercially viable way? Do you have the purpose of making a profit as well as the prospect of making a profit, even if you make a loss in the short term? Are the activities repetitive and have regularity? Is your business similar to other businesses in your industry? Is your activity planned, organised and carried out businesslike? Do you maintain a separate business bank account? Do you maintain appropriate licenses and qualifications? Do you maintain business records and account books? If you can positively respond to these questions then you are likely to be running a business. Further information can be obtained from the Australian Taxation Office Website.Non Commercial Losses Ok you are running a business either as a sole trader or in a partnership and in the first couple of years you have generated losses. Can they be used immediately? In short, no. They will need to be deferred, i.e. ; they will not be available to offset against income from other sources, unless you can satisfy one of the following tests. 1. Your Income from other sources is less than $250K and you can meet one of the following four tests: Assessable Income from the business is greater than $20K; or It has generated a profit in 3 of the last 5 years including the current year; or The business uses real property valued at least $500K continuously; or The business uses other assets valued at least $100k continuously. 2, If you are an Artist or Primary producer and your other assessable income is less than $40K.Self Managed Super Funds (SMSF’s) and Property Investment It seems you can’t pick-up a paper or read an investment news website lately without seeing something about SMSF’s and their ability to invest in property, be it a cautionary tale or a positive promotion. This is because of changes to the Superannuation Industry (Supervision) Act 1993 (SIS) in 2007 now allow limited non- recourse borrowing by SMSF’s. Non-recourse borrowing is where the lender can only use the property being purchased as the security and cannot use other assets of the SMSF. On the cautionary side, be warned that there are quite of number of requirements that need to be followed strictly to ensure any investment and associated borrowing is compliant. Failure to follow these requirements can render your SMSF non- compliant and liable for severe penalties.For example:- The property must be purchased in the name of the security trustee. The trustee of the security trustee must be different to the trustee of the SMSF The full deposit must be paid by the superannuation fund out of its own funds. It is essential that any deposit is paid from the funds of the SMSF or from the borrowing by the SMSF and from no other source. The trust documents reflect the arrangement under which the security trustee purchases the property in its name with the funds being provided by the SMSF. The loan documentation must be non-recourse, that is, the lender can only seek recourse from the property in the event of a default. When the property is purchased as above in the name of the security trustee with the funds provided by the SMSF and with the assistance of a loan from the lender the property stands in the name of the security trustee although it is beneficially owned by the SMSF. The SMSF makes repayments to the lender under the mortgage. Also the additional cost of establishing a compliant borrowing arrangement can be expensive. For example; Establishing a Corporate Trustee $700 - $1000 Establishing a Custodian Trust $1000 - $2000 Lenders Legal Fees $1500- $3500 Lenders loan application Fee $500 - $1500 On the positive side, providing an investment property meets your funds investment strategy criteria it can assist in balancing your portfolio and removing the daily shocks of share market movements. Also, if maintained in the fund until the fund reaches the pension phase and the beneficiaries are over 60 then any gain on sale of the property is likely to be free of capital gains, This is provided the strategy is deemed not to have been an anti- avoidance measure, Should you require any assistance on this or other accounting and tax related matters please do not hesitate to contact us.Disclaimers: All of the above information is general in nature and each person’s personal circumstances need to be considered before embarking on any strategy. Please discuss with your accountants and or legal advisors. The writer has an SMSF which has recently acquired an investment property using limited recourse borrowing. Loans can be a saviour in times of needs. If you’re in Australia, then you might already be under a lot of debt since Aussie household debt is said to be the highest in the world. People are used to applying for loans to make their ends meet, which is why personal debt is pretty high in the country. However, the scenario is not very different in the business sector either as businesses also commonly apply for loans in Australia. Many experts are trying to educate people about the side effects of loans, especially business loans, as failing to pay back loans can cause you to lose your entire business. While loans do have their own side effects, there is no denying the fact that they come with benefits as well. Business lending experts Unsecuredbusinessloans.com.au say, “You can draw down funds for any purpose, but it’s best to keep the balance to a minimum as interest is usually calculated daily. 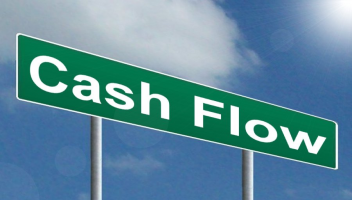 It’s ideal for covering short-term gaps in your cash flow”. The key lies in knowing when to apply for a loan. To help you in this regard, given below are five instances where it is acceptable and justified to apply for a business loan. 1. To Purchase More Inventory If your business has selling potential then you should make good use of it by buying more inventory to increase output. This is a good option because increased inventory means increased products, which would result in increased revenue due to a jump in sales. However, this will work only if you are able to sell all the extra units you produced. If you are sure of a jump in sales, then applying for a loan to buy more inventory can be a good option. However, be sure of the reliability of the numbers as at times the jump is only temporary due to seasonal changes and other such reasons. Moreover, make sure to pick a loan at a low-interest rate so that you do not have to pay a huge amount of your revenue in interest. Note: Loans to meet a big order can also be a good idea as it can help you make new customers and grow your business. 2. To Move to a Bigger Office If your business is growing then you would need to hire more people, for which you will need a bigger office space. For this, you will need money, especially if you intend to buy a new space, which is more expensive than moving to a rented office. Do some research to find what’s more economical for you (buying or renting). Both options come with their own benefits. Also, remember that you’ll have to buy more furniture and spend on other items as well when you move to a bigger office, hence a business loan can be a good option. 3. 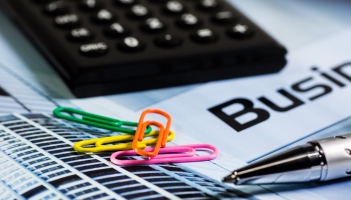 To Buy Equipment For Your Business Equipment financing is pretty common in the business world. In fact, there is a special type of loan just to buy equipment since no business can work without quality equipment. If your old equipment is dying out or if you need to buy new equipment to increase production then you must opt for a business loan. Equipment financing is a good option in this regard as the equipment will be paying for itself. 4. To Clear Your Pending Bills You can apply for a loan to get rid of your pending bills to avoid the surcharge. However, this works only if the interest amount is lower than the surcharge. Note: Do not apply for new debt to clear the old debt. That’s a trap. 5. To Build Credit History For The Future Banks often require a good credit history to approve loans. Applying for a loan just to improve your credit history can be a good idea, especially if you intend to apply for a big one in the future. However, do this only if you’re sure of being able to pay back the loan on time. Apply for loans, but carefully! Given all the various finance options available and the complex matrix of requirements associated with getting approved, it would be a rather lengthy exercise going through every scenario. That said, it is worth having a basic checklist of the basics which will be required in almost all circumstances. 1. Register for GST There is a lot of discussion as to whether a small business should register for GST. If the business intends to borrow money now or in the future, it would be best to register for GST as soon as possible. For most small business financial providers -- this is a requirement. 2. Prepare & Confirm Company Details This may sound like stating the obvious, but it very important that the information you submit about you and your company can be correctly verified. Check and document the following: Company registered and trading addresses, phone numbers, email address, contact names, ABN number, and trading name. If owned by a trust, get a copy of the trust deed and document beneficiaries. Document director’s details as above and ensure they match current photo identification such as driver’s license. 3. Review Company & Directors Credit Report Any individual and or company can request a copy of the same credit report the financial institutions will be examining when assessing a credit application. It is strongly recommended you obtain a copy and review to ensure all details entered by third parties are correct. If you find any errors, you are entitled to dispute the entries with either the credit rating agency itself or the party which added the entry. It is in your interest to rectify or resolve any discrepancies prior to submitting an application for credit. Simply stating that a record is in dispute does not help. 4. Prepare the Financial Accounts For smaller amounts with some lenders, this may not be required. However, it is a good idea to have them ready. As a rule of thumb, you will need a full set of accounts for the previous financial year which have been audited or backed up with the signed corresponding tax return -- along with the year to date management accounts. It will help if year to date accounts are backed up with BAS statements. 5. Prepare Directors Asset & Liability Statement As directors personnel guarantees are a requirement for borrowing in the SME market, getting directors A&L declaration right is important. However I think it is best to understand why first. The misconception is that it’s all about demonstrating enough net assets to cover the debt in the event the business fails. There is some truth to that but not the real issue. Lenders want to see that the director is stable financially and therefore committed to the business. If after reviewing the company, they feel they may have to go after personnel assets at some stage they will not lend in the first place. That being said when preparing the statement ensure that all valuations on the assets side are realistic and title lies with the applicant and all liabilities are disclosed as this will all be scrutinized in the credit process. 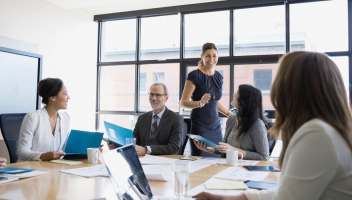 Running your own business comes with a lot of perks as well as some difficulties you need to prepare for, among which are corporate tax and how to prepare for that tax return. You can't do it alone, so you'll definitely need to find a good accountant who'll be able to assist and guide you throughout the entire process. Whether you're using a cloud accounting software, or have experience preparing your own tax returns up to this day, once you get into the corporate world, tax return policies and subtleties become more complex. Trading through a company structure has many advantages such as asset protection and access to the corporate tax rate. However, operating through a company structure adds another layer of complexity to your tax affairs. If you have been preparing your own tax return up to this point, it is time to go speak to an accountant who knows company tax returns inside out and can help guide you through this process. More importantly, a good accountant will also help with you with tax planning and be a sounding board for all the general business issues you come across. When it comes to tax time, it is important that you are prepared. So here are the 5 things you need for your company’s tax return and how you can get ahead of the game using technology: 1. A reconciled accounting file Once you move to a company structure, spreadsheets with income and expenses are no longer going to cut it. You need an accounting package to keep track of everything and also give you an up-to-date understanding of where your business is at. 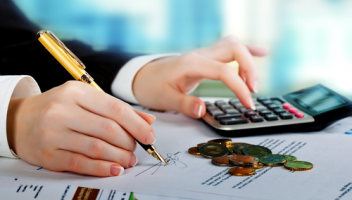 These days there are a wide variety of different accounting software packages available. The most common ones we see for small to medium businesses (SMEs) are MYOB and Xero which are easy to use for business owners and bookkeepers. We are noticing a trend towards cloud based products, such as Xero, that simplify accounting and tax for SMEs, and allow for greater collaboration with advisors. Before your accountant gets to work on preparing the company’s tax return, it is important that your accounting file is reconciled up-to-date. This includes ensuring that the company’s bank accounts are reconciled, all customer and supplier invoices are entered and doing a sanity check of the balance sheet and profit & loss. This accounting file forms the basis for the preparation of financial statements, reporting of income and expenses in the company’s tax return and for a series of financial disclosures required on the tax return. The more accurate you can make your accounting file, the more efficient the tax return process will be. This allows your accountant to spend more time working with you on strategies to grow your business rather than getting bogged down in the detail of reconciling the company’s accounts. 2. Bank statements Historically the first question your accountant would always ask was, “Send us the 30 June bank statement for each account.” The advent of cloud accounting and bank transaction feeds directly into your accounting software have reduced the need for this. This functionality has been a gamer changer by improving accuracy and streamlining the process of recording bank transaction data. Many of our clients have reported considerable time savings by moving to systems with these capabilities. Arguably, if the bank feeds are working correctly, then there is no need to refer to the bank statements as all data should be present in your accounting file. Practically, your accountant will still probably ask for copies of bank statements to confirm that the bank accounts are reconciled correctly even where this functionality is in place. They may also request copies of financial documents for new loan facilities such as hire purchase or lease arrangements. Get ahead of the game and provide these upfront to expedite the tax return preparation process. 3. Ensure that you provide good descriptions on transactions Not every cost or expense is tax deductible upfront. Some expenses, such as fines and penalties, are specifically treated as non-deductible, meaning you never get a tax deduction for them. Other expenses, such as borrowing costs on new loans, are only deductible over a number of years. Legal expenses can sometimes be deductible, sometimes be non-deductible and sometimes be treated as a capital cost of the business. Accordingly, it is important that you provide detailed descriptions for each transaction so that your accountant can identify what the transaction relates to and what the correct tax and accounting treatment is for it. Some accounting software providers are taking this to the next level by allowing you to attach invoices or other documents to a transaction. The benefit of this is two-fold. Firstly, it means your accountant has all the information taxavailable when they look at a transaction. Secondly, the documents are stored in a convenient location meaning no more searching through emails or files to find a missing invoice. 4. Make sure all BAS lodgements are up-to-date Having your BAS lodgements up to date is important for many reasons. Firstly, the ATO requires you to lodge these statements on time and can issue fines for late lodgement. With improvements in accounting technology it is easier than ever to stay up-to-date with your reporting requirements. Secondly, these BASs provide a point of reference for your accountant when looking at GST, PAYG withholding and income tax liabilities. Your accountant will also look at wages reported on the BASs compared to your accounting and payroll records. 5. Details of any other businesses you are involved with For many years it did not matter whether you had multiple businesses in different entities, the tax rate was the same for all companies. In recent years Australia has moved to a two-tiered company tax rate with smaller businesses paying 27.5% and all other businesses paying 30% in a company structure. This requires you to combine (aggregate) the turnover for all related businesses to determine the appropriate tax rate. It is important that you make your accountant aware of any entity in which you hold a significant interest so they can assess which tax rate is applicable to your company. As you can see, there is a bit to think about when it comes to preparing your company’s tax return. Finding a good accountant and making use of technology are key to making this process as easy as possible for you. The less time you spend thinking about tax, the more you can spend on growing your business.